Whether you are a gamer, online shopper or social media enthusiast, you can find yourself using and playing with 3D characters online. Virtual people come in all shapes and sizes and are found on several platforms. 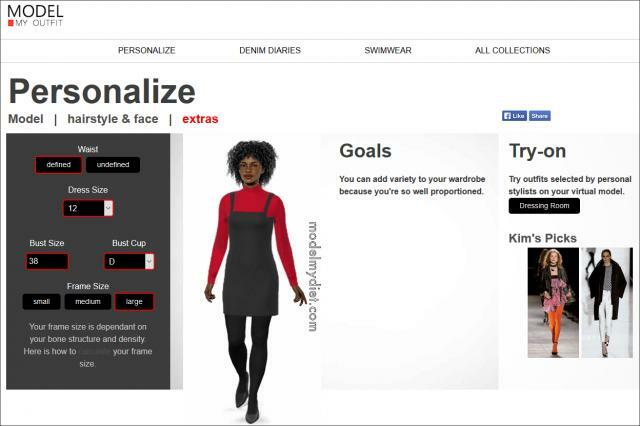 Creating and customizing your virtual persona is typically just a few clicks away. Are you a gamer? If you have ever played any interactive games on the web or in front of your Xbox, then you know that creating your 3D avatar is one of the best aspects of the game. This online person is who you become, and you take great care in creating their look, including skin color, eyes, facial features, clothing, and even personality. While some people might create a character that is similar to them, others create a fantasy persona that will help them vanquish villains or explore new worlds. To really understand how to create a gaming avatar, you need to look at the process through an interactive game. Second Life was among top virtual world games by GameLands.com and listed among the ''27 of the Best Avatar Makers'' by Mashable. Second Life is a multiplayer online role-playing game that is completely designed by game users called residents. 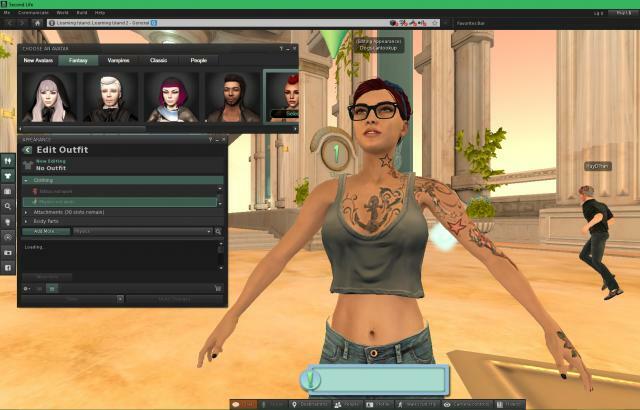 To create your avatar in Second Life, first you need to join. In this initial phase, you can choose from three different types of avatars: New Avatars, Classic and Fantasy. The avatars range from your normal Joe Shmoe to very goddess-looking humanoids. After selecting your initial avatar, you will create an account and download the game. Once inside of the game, you can choose to completely customize your virtual person by clicking your avatar in the menu, then choosing to edit outfit. Once in the edit menu, you can customize your virtual person's eyes, skin, body type, face, outfit, tattoos… you name it, really. Since this is a virtual world, you can add fantasy elements as well, like wings and horns. If online role-playing isn't your cup of tea, there are other games available that allow you to create a virtual person in different settings. The Sims: If you are looking to play in a self-contained environment with your 3D avatar, The Sims 4 might be right up your alley. Receiving 7.5 stars out of 10 by IGN, this online game allows you to create different characters and even families. You control your characters without having to worry about interacting with others. Animal Crossing: If you are looking for a more whimsical avatar experience, then you might enjoy Animal Crossing by Nintendo. Given 8.7 stars by Metacritic, this Nintendo 3DS version of game allows you to create fun cartoonish avatars very similar to Mii characters, the customizable avatars used by several Nintendo games. While there are far too many online interactive avatar creators to list, this can help to get you started on creating your very own online virtual person on several online and gaming platforms. Interaction and communication have gone virtual. Emojis are used to display feelings and people can even interact on Twitter, Snapchat and Facebook through online avatars. 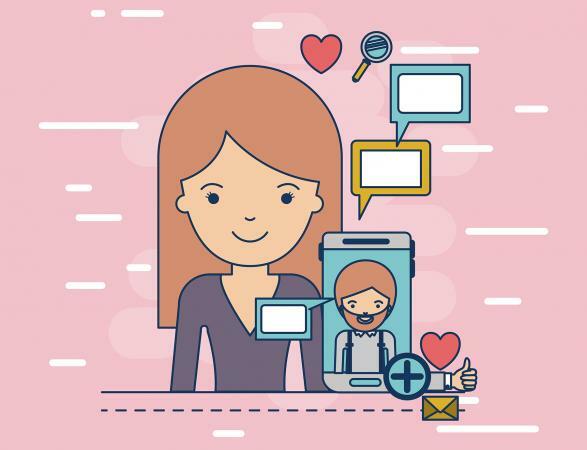 These avatars allow you to interact with your friends in the comments, and create fun comic strips or illustrations to represent your mood and add fun to online interactions without plastering your actual face all over the web. Creating a profile avatar is a fun and creative experience. While there are several websites and apps that you can use to create your profile person, Bitmoji was listed among top Android avatar creators by Newzoogle. It also had an impressive 4.6-star rating on the Google Play Store. Creating this cartoon-style avatar is very simple. First, you need to download the app from iTunes for iOS devices or the Google Play Store for Android devices. Hit the little edit button and start working on your face. Not only can you modify the face shape and hair, but you can add details like fine lines and wrinkles. Choose your body type and outfit. 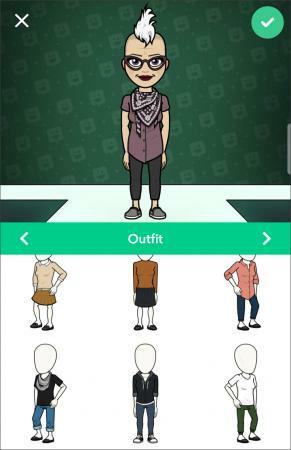 Your character is now ready to go out into online social media networks or fun comic strips in Bitstrips. Getting your avatar onto your social media sites just requires an account. You can also take and edit a screenshot if you prefer. It should be noted that while you can choose from several features and get your cartoon likeness pretty close to yourself, there are limitations. This is due to the fact that there are only so many options available. Some reviews on iTunes have also complained about the lack of outfits, so know that your options may be limited. Meez: Listed among top websites for creating online avatars by TechViral, Meez is a social networking service that offers customizable avatars that you can export to your social media pages. This site might appeal more to those that are looking for more of an anime feel to their avatars. They also seem to offer more editable options than Bitmoji. DoppelMe: If you are looking for a fun simplistic avatar for your space, then look no further than DoppelMe. 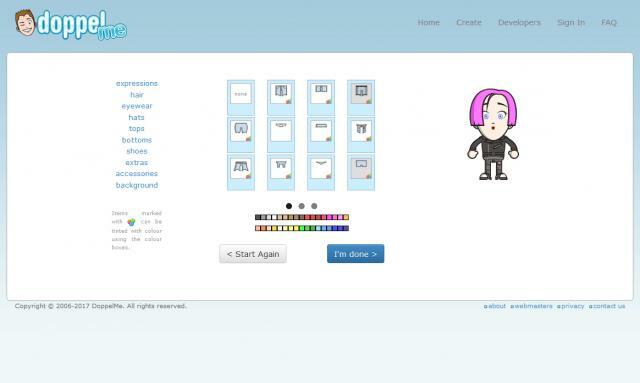 Ranked among the top choices for creating your avatar by Mashgeek, DoppelMe offers fun, simple options that will have you rolling out an avatar in minutes. Online shopping can be a nightmare. Everyone is shaped differently, and clothes fit differently on different people. As a result, more and more stores are offering virtual body doubles for your shopping experience. Some are offered by specific clothing brands like Gap, while others offer apps that let you try on specific styles of clothing to see if it will work for your body type. Setting up your virtual shopper will typically require you to supply a few photos and measurements so that they can get an avatar to match your body shape. While this will be a close fit, the avatars might not be completely accurate, depending on the virtual person you create. Remember to get the best fit, be as honest as possible. While there are different types of online avatars available to help you shop, Model My Outfit can be a helpful app since it creates the avatar based on several measurements. This app offers multiple body styles and choices and creates an avatar based on your height, weight and body shape. To get started, click on the model button and select your face, height, weight and shape. You can then modify your hair, age, nose, eyes and lips based on two simple choices. For example, you can choose a small or large nose. Add your frame, bust and waist. Be aware, if you are a woman with a large bust, your results might be skewed. After creating your model, you can try on lots of clothing styles. While Model My Outfit does offer a large assortment of styles and creates a pretty accurate avatar, it doesn't offer you specific brands. It does, however, give you tips on what fashion pieces will work with your body type. ShapeX: If you want an avatar customized exactly to you, ShapeX can create a 3D body for sending to your tailor or friends. Creating this 3D body double requires several photos and measurements. Virtual Dressing Room: If you are looking for an easy-to-use app that will offer you the latest trends on your phone, then you can check out My Dressing Room. This app allows you to add an image, but it's more like pasting the generic size dress on your body than having a customized fit. Even so, Apple users have given this app 4.5 stars out of five. Virtual people are an ever-growing market in online networking, shopping and gaming. Creating an online avatar can be as simple as picking a few features from a list, or it can be as detailed as creating a body double custom tailored to your image. While virtual people will never be like the real thing, with technology advancing every day, they are getting pretty close. Now grab your computer and try your hand at making a virtual person!